We got ourselves another user-submitted optical illusion! 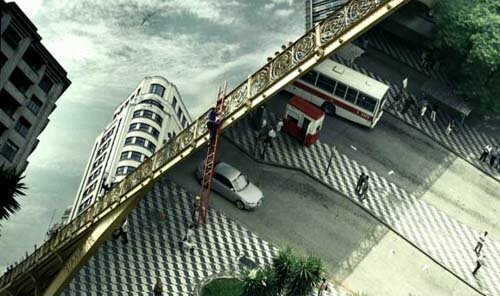 Thanks to Philip Hansen you can see this Audi Comercial inspired by M C Escher. A driver navigates his way through Escheresque world. Viral for some automobile. Jump inside this post to see the full video. Amazing! Currently video is down, but you can still view it here. I think it is awesomely done! i don’t get the Forecourt one. The rest of them are really cool though! Compare it to the impossible/devil’s fork. The Fore court one is easy. check out the six pillars illusion. You’ll see the forecourt illusion is just like that one. Hi. I still love this spot. I directed this commercial for Audi and BBH London a couple of years ago. 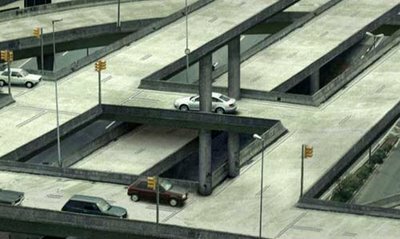 I also came up with all the illusions and did the matte paintings based on studying Escher and textbook illusions. I wanted to bring it up to date. So I’m very proud that so many people appreciated the spot. It seems to have an underground following. There is also a very secret 60sec version out there in the vaults. mine isn’t working! i clicked on the right link, but it only takes me to the main page of devilducky.com, with all of the recent and popular videos! im so. . . confused? 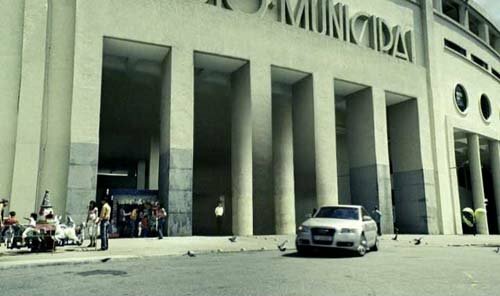 this Audi spot is what inspired parts of Christopher Nolan’s movie “Inception” I believe…. yes. its definitely “Inception” like isn’t it? OOOOWWWW D: It hurts my head trying to think about it! But it’s still pretty freakin awesome.